'S e 19 an Giblean an 109mh latha dhen bhliadhna a rèir a' Mhìosachain Ghriogaraich (110mh ann am bliadhna-leum). Tha 256 latha air fhàgail gus deireadh na bliadhna. 2005 - Chaidh Joseph Alois Ratzinger a taghadh na phàp, san Roimh. 1969‎ - Anndra Mac a' Cheàrnaigh, ann an Calgary. Cànanaiche na Gàidhlig à Canada. 1912 - Glenn Theodore Seaborg, ann an Ishpeming. Ceimigear às na Stàitean Aonaichte. 1944 - James Heckman ann an Chicago. Eaconamaiche a bhuannaich an Duais Nobel ann an Eaconomachd ann an 2000. 1390 - Rìgh Raibeart II (rug. 1316). 1881 - Benjamin Disraeli, Prìomhaire Bhreatainn. 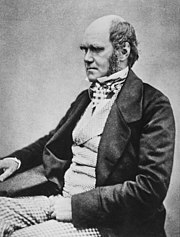 1888 - Charles Darwin, ann an Down. Fear-saidheans à Sasainn. 2016 - Walter Kohn, ann an Calafòrnia. Ceimigear às an Ostair. Air a tharraing à "https://gd.wikipedia.org/w/index.php?title=19_an_Giblean&oldid=522926"